'Dangerous Fish' front view - very early stage. 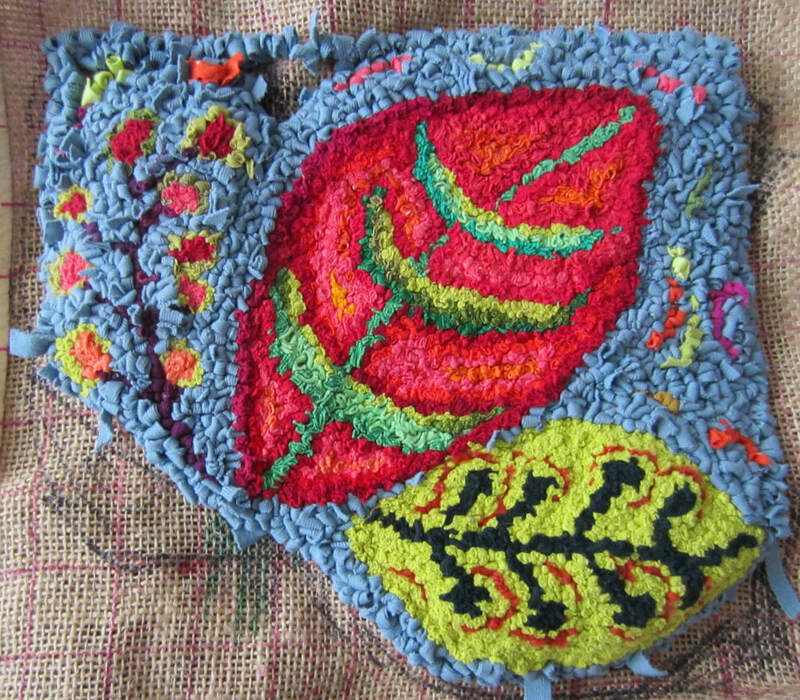 Punch-needle always looks a total mess at this stage! was a bit stuck on the background colour, then one of our group suggested blue. My first reaction was that this wouldn't work, but then I found a bit of teal-coloured T-shirt in my stash and it does seem to work very well! Some scraps of other colours have been added to the background for contrast. The stalk colours in the seed pods on the left (front view) have been changed to shades of purple as they were very dark and the colour too similar to the stalks on the green leaf. They'll be much more visible when I shear off the tops of the loops. Only the large leaves and a little of the background has been sheared so far (pix on left), so most of the loops are still visible. Nearly finished now - (see right). The loops have all been sheared off. 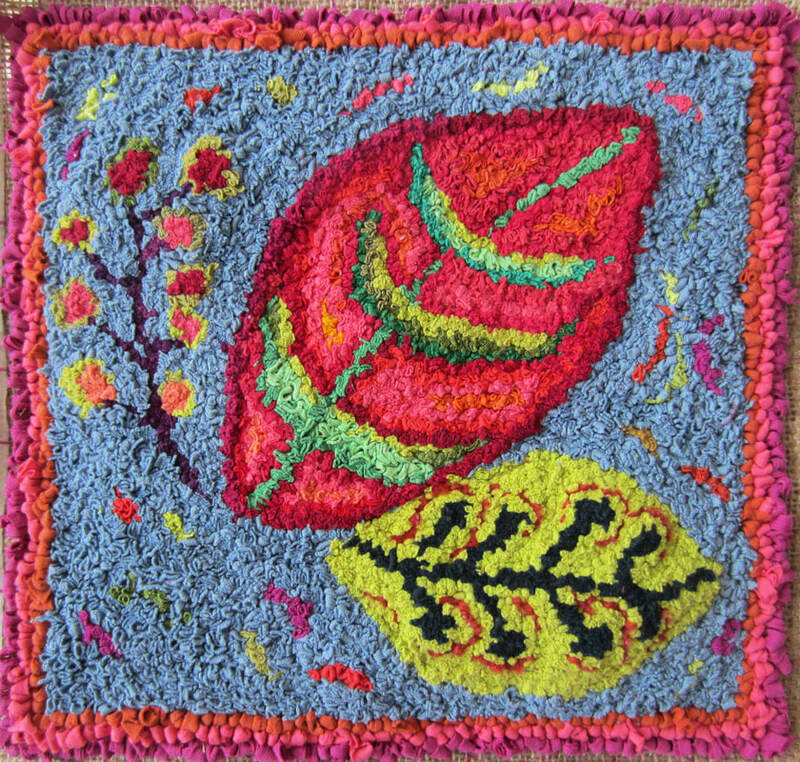 Just a few colour changes needed to make the seed pods on the left stand out more and then a contrasting border stitched with tapestry wool to be added. 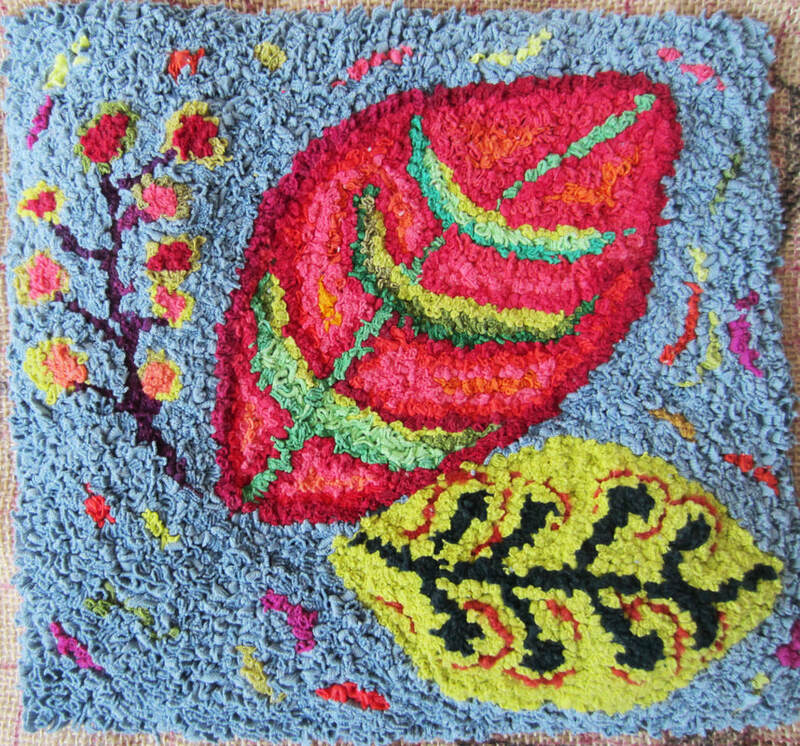 Stitched border didn't look right, so I've now hooked a border of 3 rows in colours that I've used in the piece already (see left). 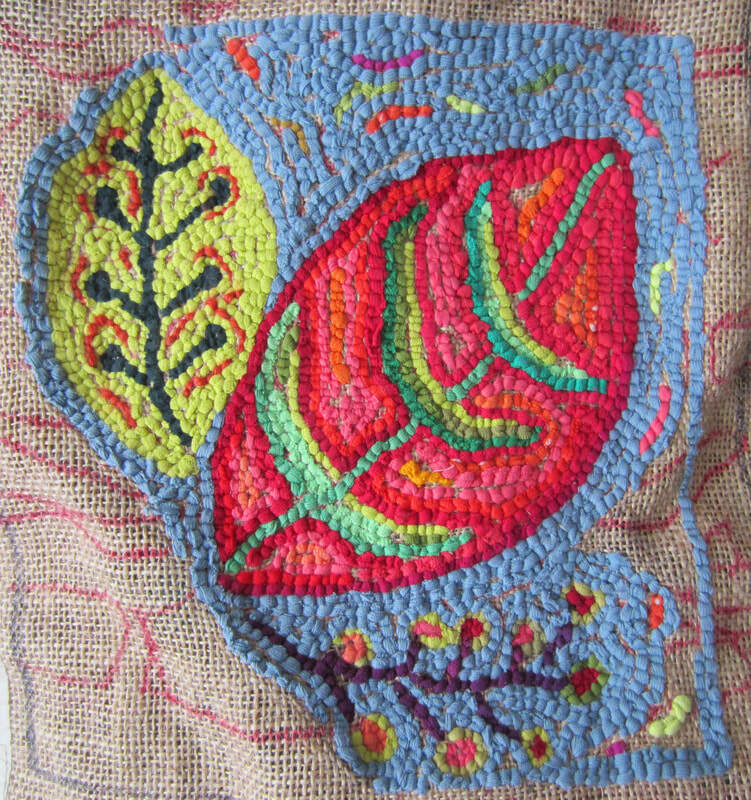 Eventually I'll add a back to make it into a cushion cover.